Manufacturer of a wide range of products which include polycab cable, high temperature cable and electrical power cable. 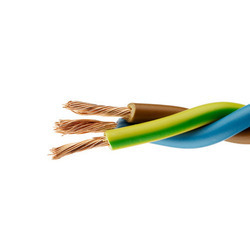 Our enterprise has gained immense recognition in offering optimum quality Polycab Cable. Rendered by us in various technical specifications, it is used in electrical power transmissions and distribution applications. The offered cables are examined on various quality parameters before delivering in the market to ensure its high durability and flawless working. 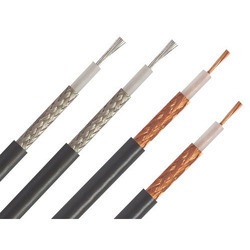 We are the leading suppliers of Polycab Cable in Coimbatore, Mettupalayam,chennai,Salem, Tirupur, Pollachi, Trichy, Salem, Erode, Madurai, Tirunelveli , Chennai, Nagarkovil, Kanniyakumari,Tuticorin, Namakkal, Vellore,Theni, Dindugul, Ooty, Kunoor, Valparai, Kodaikanal, Kannur, Kozhikode, Malappuram, Palakkad, Wyanad, Kasargod, Kalpatia, Thrissur, Eranakulam, Iduki, Kootayam, Alapuzha, Kollam, Thiruvananthapuram, Bangalore, Tamilnadu, Karnataka, Andrapradesh, And Kerala. Our firm is enlisted as one of the renowned name in offering high quality High Temperature Cable. Our range of cables is high on demand among patrons due to their embellished features. Used in electrical transmission and distribution applications, the offered cable is known for its ability to tolerate high temperature. Tested on various quality parameters, our cables are available at economical rates to the clients. 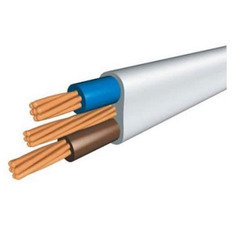 We are the leading suppliers High Temperature Cable of in Coimbatore, Mettupalayam,chennai,Salem, Tirupur, Pollachi, Trichy, Salem, Erode, Madurai, Tirunelveli , Chennai, Nagarkovil, Kanniyakumari,Tuticorin, Namakkal, Vellore,Theni, Dindugul, Ooty, Kunoor, Valparai, Kodaikanal, Kannur, Kozhikode, Malappuram, Palakkad, Wyanad, Kasargod, Kalpatia, Thrissur, Eranakulam, Bangalore, Kodagu, Mysore,Kolar, jaipur, sikkar, Delhi, Rajkot, Srinagar, Tamilnadu, Karnataka, Andrapradesh, Kerala, ArunachalPradesh,Andaman and Puducherry. As an acclaimed enterprise of the industry, we are engaged in offering Electrical Power Cable to our clients. It is ideal for different electrical power distribution and transmission applications in various commercial and residential buildings and establishments. The offered cables are available with us in various thickness and are examined on several parameters by our quality auditors to ensure defect free product at the clients end. We are the leading suppliers of Electrical Power Cable in Coimbatore, Mettupalayam,chennai,Salem, Tirupur, Pollachi, Trichy, Salem, Erode, Madurai, Tirunelveli , Chennai, Nagarkovil, Kanniyakumari,Tuticorin, Namakkal, Vellore,Theni, Dindugul, Ooty, Kunoor, Valparai, Kodaikanal, Kannur, Kozhikode, Malappuram, Palakkad, Wyanad, Kasargod, Kalpatia, Thrissur, Eranakulam, Bangalore, Kodagu, Mysore,Kolar, jaipur, sikkar, Delhi, Rajkot, Srinagar, Tamilnadu, Karnataka, Andrapradesh, Kerala, ArunachalPradesh,Andaman and Puducherry.